Lolong has got to be the most famous crocodile at present, as well as the Guiness World Record title holder for being the largest crocodile in captivity. He is also influential, in that, his presence at the Bunawan ecopark has increased tourist visits. Interest in the Agusan Marsh, its existence and tourism potential, have also increased. Tourists, adventurers, scientists, nature lovers and curious people flock to the place that holds different wonders and stories. Most of them would ride in dug-out canoes, motorized bancas or other water vehicles and traverse waters littered with lily pads and hyacinths. Along the way, they see vacationers from places experiencing winter. They may be soaring, dashing or priming their feathers. Locals such as the Philippine Hawk Eagle, Philippine Duck, wild ducks, herons and egrets also call this complex, home. The complex also contains forests, herbaceous plants, vines, ferns and grasses, including bamboo. Since the complex houses plants, plants also provide food and habitat for the fresh water crocodile, lizards, soft-shelled fresh water turtle, wild boars, snakes, amphibians and mammals. Its waters are home to fishes, like the carp and catfish, and snails. Water comes from rainfall that congregate in lakes, ponds, rivers and other tributaries. The marsh itself acts like a sponge that gathers the water during the rainy season and slowly releases it during the dry months. This action inhibits floods from spilling over to populated areas like Butuan City. Also, part of Agusan Marsh are peat lands which function as a carbon sink. As such, they absorb carbon dioxide from the atmosphere and mitigate the adverse effects of climate change. Peat lands exist in the area because the presence of water retards the decomposition of organic matter. Given these advantages and benefits, it is only proper and fitting that this residential complex be protected -- free from pollution, contamination, destruction, degradation, land conversion and illegal activities. People should be educated as to its utility and importance so that it can be enjoyed by future generations. 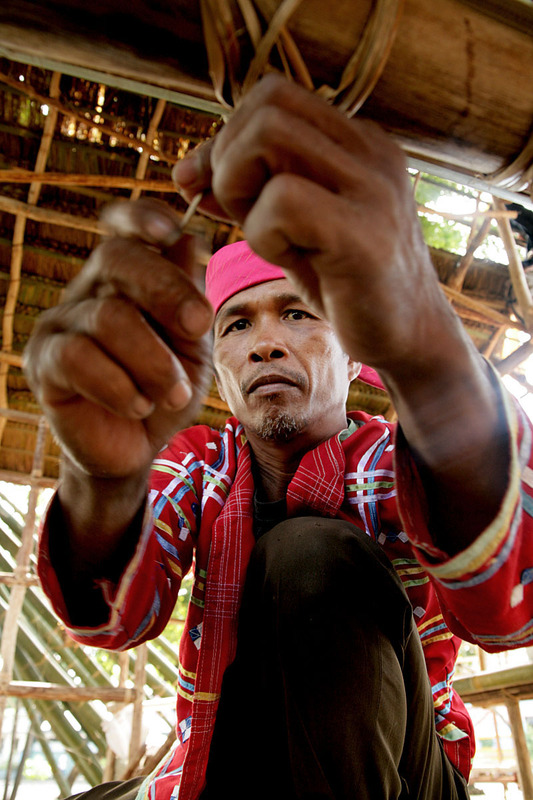 Among the inhabitants of Agusan Marsh are lumads or natives called Manobos. They have established houses that adapt to the changing seasons of the marsh. When the water level goes up, their houses simply float. Their food also come from their surroundings. They catch fish for their own subsistence and sell some to tourists. They also feast on escargot. Their diet may also include pigs, chicken and eggs; these animals also live side by side with their masters. When you go to the marsh, Manobos would insist that a ritual be performed to ask the spirits of their forefathers to guide and protect the visitors. Otherwise, visitors who ignore the influence of their forefathers by disregarding the performance of the ritual can expect to meet with unfortunate circumstances. These circumstances may seem as trivial as a broken camera or the loss of an object. If you plan to take a tour of the place, you might as well bring candles and food to offer to the spirits. The Manobos have a claim to the marsh and count on visitors to obey their rules because the Agusan Marsh is their ancestral home. They may be considered guardians of the marsh because their lifestyle and livelihood are tied to it.